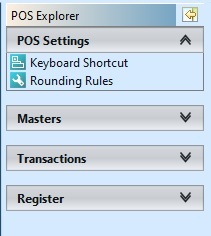 This is where all the settings and keyboard shortcut for the POS module are defined. 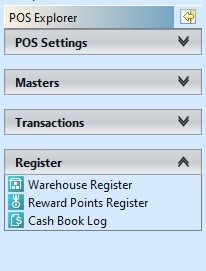 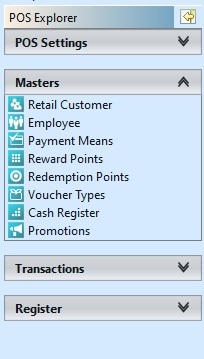 This is where all the masters for the POS module are defined, to manage retail customers, retail employees, cash register and payment means settings, vouchers and loyalty program. 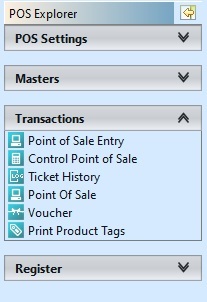 This is the part of the application where all retail transactions are handled in POS Entry (cash register), postings of sales transactions, tickets history, vouchers list, and printing of product tags (labels).